Many new AI Camps have been added to the map, providing a greater variety of lootable targets for players at all TOC levels. We are closely monitoring the availability of targets for each TOC level, and will continue to make adjustments as necessary. 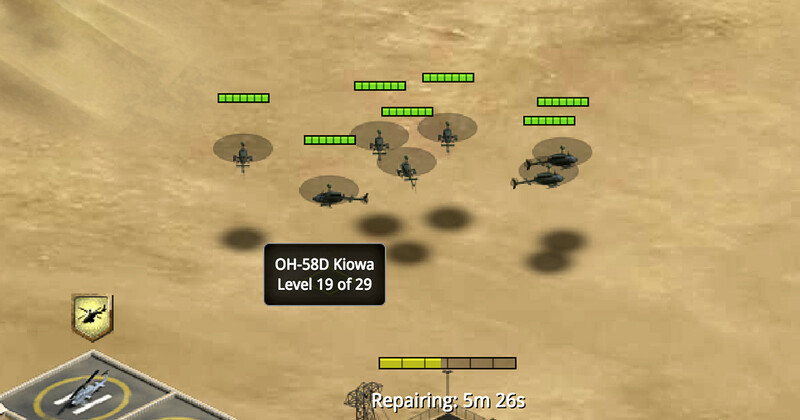 Player bases and AI Camps now have unique icons showing the TOC level of the base. An extended tutorial is in testing for our newest players. This tutorial guides players to create battalions and fight on the regional map. Easy-to-attack L2 and L3 camps have been added for low-level players to practice on. Unit health bars now display an indication of the unit’s total HP. The more ticked segments you see on the health bar, the stronger the unit. Note: The number of segments matches the TOC level the unit is designed for. For example, a unit showing 7 segments on its health bar is ideal for TOC Level 7 players.